It wasn’t life threatening expression, but still, I fell off my chair when my friend, Jemmie questioned. “Will there be an end to your worries before you die?”, she quipped. I did not reply to her but decided to leave behind the Brexit and move on to spend some quality time with family this summer holiday season in some kaleidoscopic environment. Since I trusted Sykes Cottages in 2014, I had no reason to doubt this time around. And, let me tell you, I was blown away. I found the exact location and a perfect cottage for us four. The abundance of greenery, Flows of the waters, some history to cherish and some modernity. It’s a little difficult to have ‘everything’, but Jeremiah’s Cottage proved me wrong. It offers everything you need to spend a lavish, luxurious and entertaining holidays to alienate the pessimism of Brexit. Atmospheric, dramatic and steeped in history Killorglin really is an extremely special part of the world. Just five miles away from Killorglin, Jeremiah’s Cottage stands taller on the quiet road of the village of Cromane. As soon as I entered County Kerry, I knew I am set to spend a few never-before days in an idyllic location. 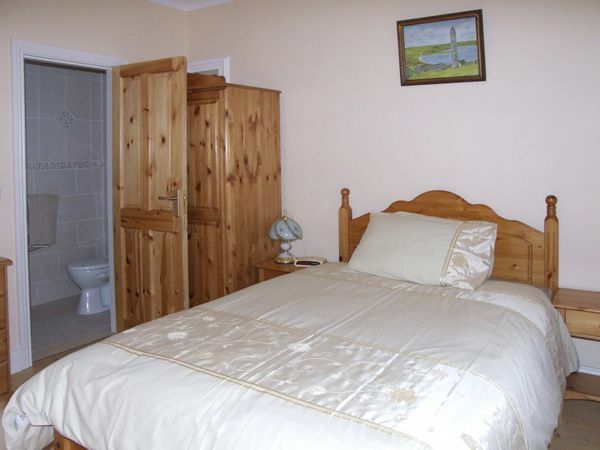 Jeremiah’s Cottage is surrounded by stunning views of Inch Beach and across to Macgillycuddy Reeks. This is an absolutely charming luxury country cottage quietly overlooking the calm waters of a stunning lake. In a way, I could not have found the better cottage to escape the hustle and bustle of everyday life. This is a place of peace and tranquility. As you walk up to the luxury country cottage holiday home you are greeted by well-kept lawns, lush full flower beds, and bushy green trees. Inside you are welcomed by plush furnishings, modern fittings and stylish décor adding that touch of luxury making your holiday extra special. The living room is nice and cozy with two leather large sinkable sofas, a big electric fire to warm the toes and framed landscape artwork to admire on those quiet nights in. 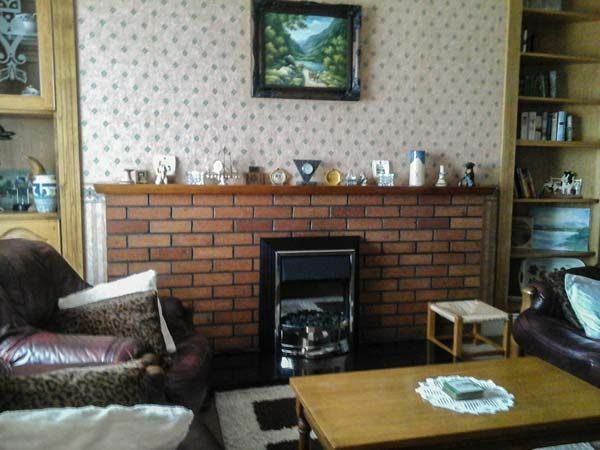 It is also equipped with comfortable chairs, TV, DVD, books, lovely throws and cushions. The country-style kitchen enables you to add more taste to your cuisine, while the dining area provides perfect opportunity to spend time together. 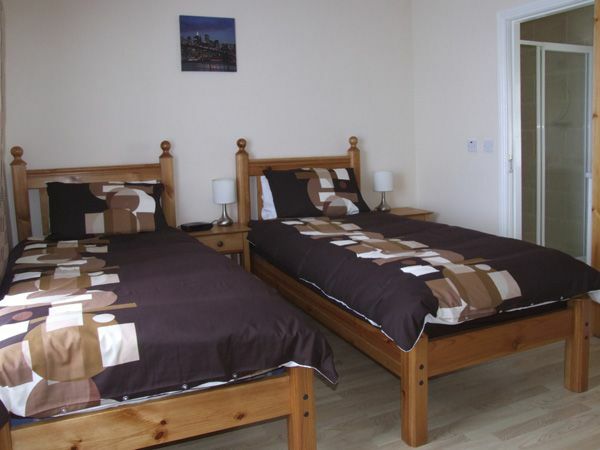 The spacious bedrooms offer a relaxing retreat at the end of a busy day. Nope, that’s not all, the large garden of this Killorglin cottage offers an opportunity for a romantic dinner, while the stunning views make you wish each day would never end. 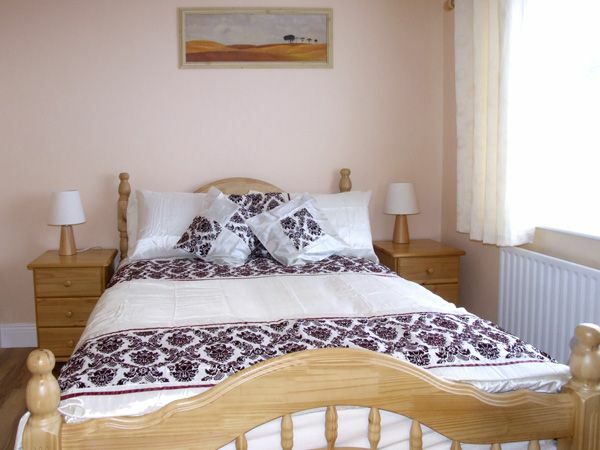 The all ground floor self-catering property has three bedrooms; one with double bed, one with twin bed and one with a single bed. 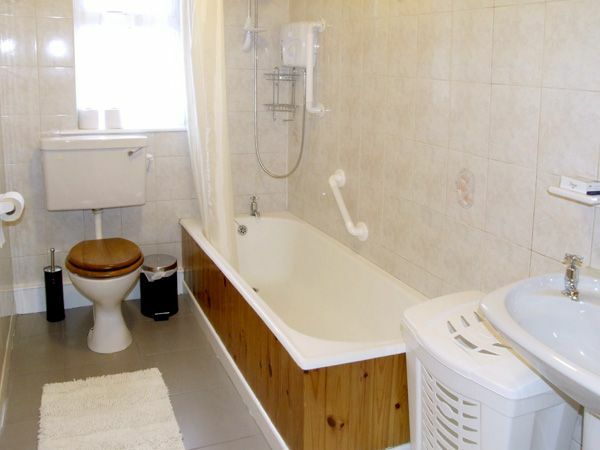 Each bedroom has an en-suite bathroom with separate shower area, basin, and WC. Luxury Jeremiah’s Cottage makes you feel at home with Electric oven and hob, microwave, fridge/freezer, and washing machine to add much-needed comfort to your routine. If you wish to have Cot and highchair, owners would ensure to provide you. Discover walks from Killorglin, the gateway to the Ring of Kerry, and enjoy a spot of fishing on the River Laune or Caragh Lake. 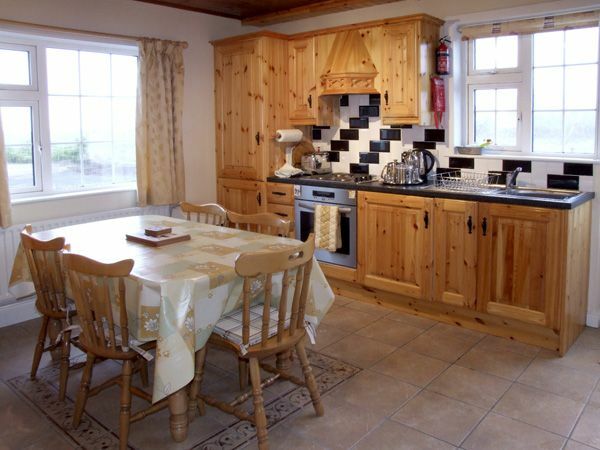 With lots to see and do from this wonderful Killorglin cottage, you won’t be able to help to fall in love with County Kerry. With your stay at Jeremiah’s Cottage, you are sure to enjoy many street festivals, including Puck Fair, Ireland’s oldest street festival. 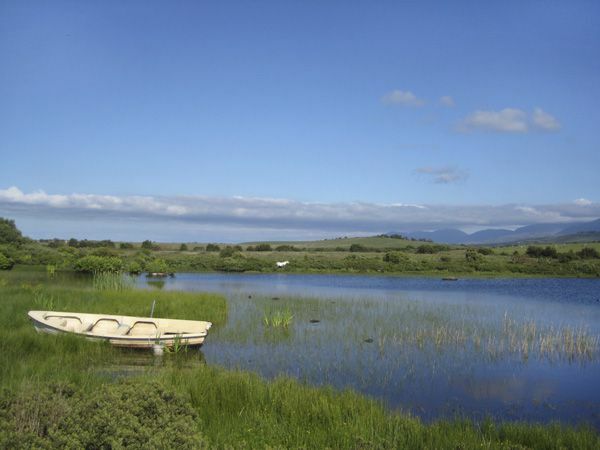 Killorglin is known as a paradise for the golfers with an abundance of golf courses on the beach side. Larkin’s Pub would ensure you are never away from the fun. Top of everything else, what made me go to Jeremiah’s Cottage is me securing 18% flat discount from Sykes Cottages through CollectOffers. If you wish to strengthen the bonding with the family and have a desire to add few more golden feather to your memory crown, you to should go to this fascinating cottage; of course with 18% discount.